Have you driven a 1986 Honda Prelude? Displaying 1 - 10 of 14 1986 Honda Prelude reviews. All I can say is...how many cars in 1986 came with 4 wheel disc brakes, fuel injection, independent suspension, 5 speed, had wheels instead of hubcaps, sunroof, a trunk spoiler, power windows with auto/down on the drivers door and a power window lock, am/fm stereo with cassette and equalizer, cruise control, rear defroster, front windshield and driver and passenger door defrosters, a gas lid protector that you pop open from inside the car so that no one can pour stuff in/tamper with your fuel, a trunk popper from inside the cab conveniently located to the left of the drivers seat (Ive never used my key to open my trunk and this car was built in 1986) tilt steering wheel, adjustable lumbar and side bolster driver and passenger seats, dash indicator lights in the shape of a prelude on the dash which show a door or trunk that is still open and show if a light bulb is out and exactly where on the car its out (I mean exactly which light is out...amazing). If your young, youre probably thinking that every car has these features...but your wrong!!! In 1986 no General Motors car, ford car, Chrysler car had these features...hell they didnt even have fuel injection. Now as far as handling and power to weight this car had that covered too. No American car back in 1986 was ever going to beat this car in a race on the highway (cause its a high revving masterpiece) nor would any American car beat it on a curvy road cause it handles like its on rails. The 1986 Honda Prelude 2.0si was probably the best riding /touring /racing /handling /luxury amenity loaded /best ergonomic interior car that you could buy!!! It had loads of firsts and I dare someone to find a car that could outdo it in all catergories...good luck cause it doesnt exist. I mean do you people remember driving a 1986 Camaro or a 1986 Cutlass or a 1986 Mustang or a 1986 Daytona /Charger /Laser. I purchased my 1986 Honda Prelude 2.0si about 8 years ago with 122,000 miles on it. It now has 180,000 miles on it. I put new plugs & wires on it when I bought it. Ive changed the oil every 3,000 miles with full synthetic Castrol GTX. Besides that Ive replaced the alternator and battery last winter and thats it. Just last week I raced some high schoolers in a brand new yellow scion (the rear wheel drive one / like am frs or something like that) and I beat the from red light to red light...yep...in my 1986 Honda...wuz up!!!! Power Ranked 1986 BMW 3 Series worse. "The 1986 Honda Prelude 2.0si is a little car but its big on power. It likes to work hard at high rpms and relax at low rpms. So buy a stick shift /manual and get great gas mileage and easy driving to the grocery store or work. Then when you want to race someone or just get an adrenaline rush drop that baby down a gear and peg the gas!!! This car will make you smile if you take it to high rpms (especially on the highway)." Handling Ranked 1986 BMW 3 Series worse. "The 1986 Honda Prelude 2.0si handles like its on rails. It has a sturdy but comfortable suspension, very intuitive and capable steering, front wheel drive, 4 wheel disc brakes, and a high revving motor. You put this all together and youve got one amazing handling car!!!" Looks/Style Ranked 1986 BMW 3 Series worse. "The 1986 Honda Prelude 2.0si looks like a Ferrari Testerrosa (not sure how its spelled but its the badass Miami Vice Ferrari). So back in 1986 you could get a very reliable, quick, awesome handling car that resembled the coolest /newest Ferrari of the day or you could buy a super upright super boxy, toilet bowl seat having hard black plastic and vinyl maybe leather mom and dad car. The clear winner in the looks style category has to be the 1986 Honda Prelude 2.0si!!!" Front Seats Ranked 1986 BMW 3 Series worse. 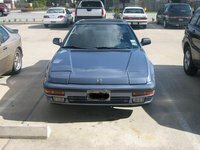 "In the 1986 Honda Prelude 2.0si the front seats are very wide with lots of extra padding plus they have back /lumbar adjustments and adjustable side bolsters on the sides of you back and the sides of your bottom. Its like your strapped into a jet fighter!!!" Cargo Capacity Ranked 1986 BMW 3 Series worse. "The 1986 Honda Prelude might be a little short on room in the back seat but if youre just a couple using it as a weekend cruiser...it has a huge trunk to fill and you can also use the back seat for storage and this gives you the most storage room of any 2 door sports car on the market;)"
Family Car Ranked 1986 BMW 3 Series better. "This is a great family car because its boring and roomy and safe compared to the Honda Prelude. Isnt that what a family car is supposed to be?" Value Ranked 1986 BMW 3 Series worse. "The 1986 Honda Prelude is very reliable so there is no need to anticipate frequent and costly repairs. Its reliable so you wont get stranded on the side of the road. It gets great gas mileage. Its loads of fun to drive. I cant think of a car with more value." Would Buy Ranked 1986 BMW 3 Series worse. 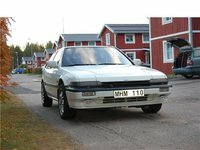 "The 1986 Honda Prelude 2.0si is the most reliable and low cost car I have ever owned. Ive owned close to 100 cars in my life and I bought my 1986 Honda Prelude 2.0si with over 100,000 miles on it...and now Im at 180,000 and Im still daily driving and racing this car." CarGurus has 62 nationwide Prelude listings starting at $3,200. Old When I Got It And Served Me Well For A Decade — I bought my 1986 Prelude in February of 2003 for $1500 cash. It had 145,000 miles on it. Two days ago (writing in August of 2012), it blew its head gasket right at 199,000 miles. I'm sorry to be junking it, because it was a great car for a long, long time. Averaged around 26 MPG, had good power and handling, and used very little oil or coolant until maybe a year ago. I did have one major repair about two years ago; had to replace the alternator and a few other things. That cost about $900. But other than that, it's only needed maybe $100-200 or so in repairs every year. I took it to Burning Man three times (tip for cargo capacity: take out the passenger seat!) and on a 2000-mile trip three years ago. Worked fine every time. All in all, the best used car I ever owned. I don't think I would buy one now, but in 2003 I got a fantastic bargain. 86 Prelude Si — Fun to drive- heavy clutch made it feel like a racing car. Really had great build quality. Interior and exterior fit and finish were top notch. This was probably the best car you could buy in 1986 for under 20K. The short throw stick shift coupled with the 2.0 PGMI Honda engine made the car feel lively. I believe that the stock engine put out about 140 horsepower. 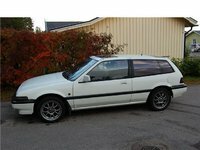 Good For A First Car, Not Something To Depend On — It's in pretty bad condition right now, since it is 24 years old. Fun car to rip around in, not much speed at all, but it's quick. Pretty decent handling. I've had to get several things repaired: speedometer, door handles, and alternator being the main things. Doesn't contain sound very well. It would be very good on gas if it didn't rev and idle at 2000+ rpms. Exterior is in rough shape, a bit of rust, paint is fading, needs new light covers. Interior is gorgeous, seats and dash are in immaculate condition. Cons: old and rusty. project car. Want A Honda? — My great aunt's tired old Honda. Bought for way too much money, fixed up for even more. Slow, scary, terrible in almost every way. Performance, although good for the time when it was made, was not helped by twenty years spent sitting in a car park. It seemed to burn oil and gas in a one to five ratio. Hills were tricky. Pros: Looks like it was a prop in Blade Runner. Not A Great Looker Or Fast, But Surprisingly Quick And Easy To Drive — There aren't many of these left out there, so don't bother looking into this car so much. Cons: Feels like you are sitting on the floor, limited power, not the car you want to be driving if you get into an accident!